We conclude our deadline dealings series with a look at the San Francisco Giants,who are struggling in last place in the weak National League West. The Giants are ten games behind the first place Dodgers and if the season ended today would be looking at a top ten draft pick. For a team that is perennially picking in the lower third,that could be a huge hand in helping a farm system that has struggled (Buster Posey aside) in developing bats for the major league program. The Giants are clearly out of the division race,which was possible a weeks ago and I think that's a good thing. Why? Because that does not deceive them into believing they are contenders and not doing what they should do-Sell. Don't misunderstand me-I am not advocating a housecleaning,this team will still be a contender next season,but dealing a few parts to bulk up a farm system that needs hitters badly would be a good move for the Giants. 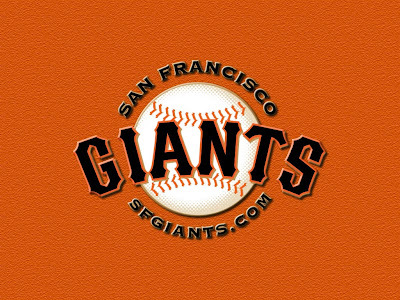 The Giants have always been an organization that develops arms and has more promising ones on the way (Kyle Crick and Clayton Blackburn) on the way,although both are at High A San Jose. Considering the expected regression of Ryan Vogelsong and possible free agent defection of Tim Lincecum,I would not be against a prospect that could fill a rotation spot next season,but the Giants need hitting at all levels and that should be the focus. Tim Lincecum showed that he can help someone,perhaps from the pen and could bring a decent prospect as a rental player. Lefty specialists Jose Mijares or Javier Lopez could bring a middle level prospect and someone might want a swingman type in Chad Gaudin. The biggest prize might be Hunter Pence,who is entering his free agency year and the team might try to re-sign. What about adding a prospect or two now and then attempting re-sign Pence after the season? A plausible scenario and one that makes sense. The Giants need help,but they are not a team that needs to burn the house down. However,this is a rare chance to see a top level team add to its future in a season that is essentially over. Our series continues with a look at the Cleveland Indians. The trade deadline is two days away and the Indians have decisions to make. Cleveland is three games behind Detroit in the American League Central and are just one game behind in the race for a wild card slot,although there are five teams within two and a half games of each other in the battle,so unlike Pittsburgh-an investment may or may not put them into the postseason. The Indians could use a corner bat (preferably righthanded) as neither Michael Brantley or Drew Stubbs fit my bill of a corner everyday outfielder and Mark Reynolds has been a huge disappointment after being signed as a free agent . Lonnie Chisenhall has not done what the Indians have hoped at third,so an upgrade there could be a focal point. Cleveland has gotten more than can be expected from the lower half of their rotation,so is it realistic to gamble that they can continue to harvest what they have from Zach McAllister,Corey Kluber and Scott Kazmir? A new starter could allow one to move to the bullpen and provide depth to the rotation in case of injury. The bullpen could use another arm as well for the postseason where bullpen depth is at a premium. There are two problems with a large deadline move for Cleveland. Don't be fooled by the signings of Nick Swisher and Michael Bourn,this is not a huge money player in the league. Cleveland is not likely to add a huge contract,although Cliff Lee would be a tempting target. The dollars are not there as even a contending team is struggling at the gate. The other is that the Indians farm system lacks the type of talent that would bring a top notch player even if they were interested. Francisco Lindor would be a massive trade chip,but is the one player that the team should not deal with Asdrubal Cabrera's departure on the horizon. Dorssys Paulino has disappointed in Low A Lake County,Tyler Naquin has hit well at High A Carolina,but as when he was drafted,lacks power potential and Ronny Rodriguez might not have the interest from trade partners that he had before the season. Other than Danny Salazar,the system already lacks arms and could use more,not less help. I think the Indians need to make a run.I know I had a different plan for the Pirates,but bear with me. The Pirates have prospects to set them up for a multi-year run,the Indians,other than Francisco Lindor,do not. The Indians have holes that need filled in order to even make the playoffs,the Pirates are in good shape there. Cleveland has ownership that the public wonders about its commitment and is not attending games,a move for a player that adds immediate help would show that commitment to winning that so many think is not there. Some thoughts about the trade deadline that is two days away with part one of a three part series. 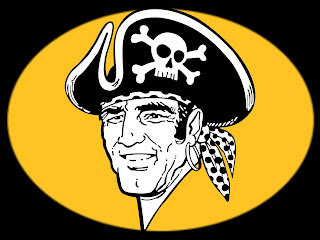 We lead with the team with the best record of the three,the surprising Pittsburgh Pirates. The second place Pirates trail the Cardinals by a game and half in the National League Central,but look to control their own destiny for a wild card berth. They would have to be caught by Arizona (4.5 games behind) to lose a spot. The Pirates could use some bolstering,but at what cost? A bat would be very useful to surround the middle of the lineup and an arm to add to the rotation for the injured Wandy Rodriguez or if you don't believe in Jeff Locke maintaining his season or in the comeback of Francisco Liriano,an addition would be helpful. With the injury of Jason Grilli,I can see a deal for a middle reliever at an nominal cost as well. However,how deep do you dig for a playoff run? I've been asked "Don't you really have to go for it"? Well,the Pirates have tried to build a minor league system that becomes self-sufficient in order to maintain a competitive team for years and dealing just as it appears to be ready to bear fruit makes little sense to me. I know that it looks so tempting to make a run now and I'm not against a deal,but (minor leaguers only) Jameson Taillon,Gregory Polanco,Josh Bell and Alen Hanson are the core of the teams future and sending them elsewhere drops the team backwards not forward. I would not be against moving a prospect or two like say the suddenly sizzling Alex Dickerson from AA Altoona or even a arm or two in the right deal,but there is an opportunity for the Pirates to contend for the next few seasons,not just this one and I would hate to see three steps backwards for one playoff spot. 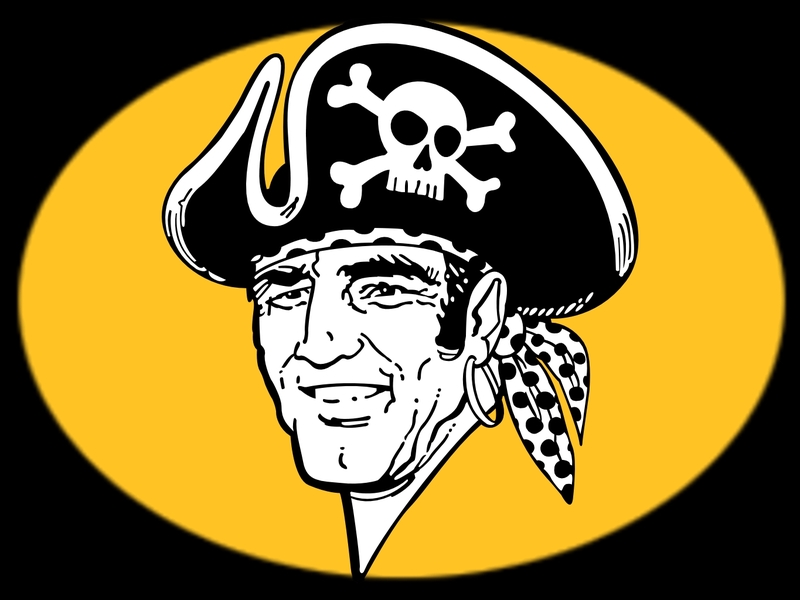 I would consider the Pirates a buyer and anytime that you buy-it costs something,but I would not recommend an "all-in" approach and would prefer a small deal or two to supplement today's Bucs,but not at the cost of tomorrow's. I've been critical of Golden Boy Promotions and the card that they placed on their house network Showtime did not look like a typical pay cable card as far as quality goes. The fighters may not be of the usual level,but the action certainly was as two of the three bouts were of fight of the year consideration caliber and the third was a good fight as well. A few thoughts on the evening. 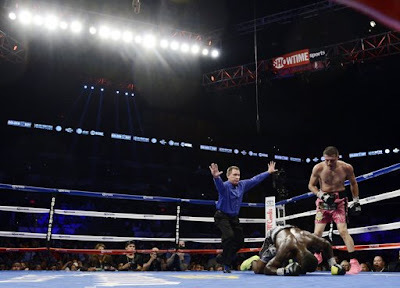 Andre Berto delivered another great fight,but with his third loss in four fights and to the limited Jesus Soto-Karass,perhaps its time for Berto to leave the ring. Berto suffered another injury (shoulder) in the bout and was losing the fight clearly when he was stopped in the 12th and final round. Another point-Texas boxing has a huge issue with bad referees and bad judging. The issue with Lawrence Cole (son of Texas boxing chairman Dickie Cole) did not raise its head on this evening,but one judge had Berto AHEAD and another even going into the last round of a fight that was exciting,competitive,but not close? You want to be sure to win a fight in Texas-get a knockout. Omar Figueroa's war of a win over Nihito Arakawa was just the type of fight that a young knockout artist needs. Not everyone will fall at your feet and better fighters take better shots. Going the distance and being punched back will benefit Figueroa in the future and Arakawa deserves to be heard from as well. Keith Thurman rallied for a 10th KO of Diego Chaves,but I still think this is another Al Haymon advised fighter being shoved down the throat of the network that wants to use Haymon advised Floyd Mayweather. HBO suffered through this with Andre Berto and Thurman for a short period and Showtime now has this problem. 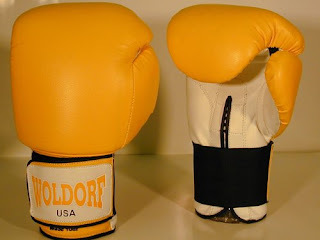 I'm not saying Thurman is an awful fighter,but I believe that,much like Berto,when the rubber meets the road at the top of the division-Thurman is going to fall short. Funny note-Keith Thurman thanking the fans in "San Diego" for their support. Boos quickly rained down on a puzzled Thurman,who figured it out when Al Haymon whispered in his ear that they were in San Antonio. All things considered,the action in San Antonio was top notch and kudos to Golden Boy/Showtime for three entertaining bouts. A fight does not have to be a title fight to be fun to watch and the sports grows with action filled scraps. That has been what helped UFC grow and that will help boxing as well. The New Jersey Devils knew that they had to do something to address the loss of Ilya Kovalchuk and the team took a step in that direction as the Devils inked 41 year old winger Jaromir Jagr to a one year contract. The contract is worth two million guaranteed with another two million payable if Jagr plays in forty games this season. The right winger was productive last season with Dallas and Boston with 16 goals,but at 41,Jagr has questions on how much he has remaining in his career. There are good things that Jagr brings even at 41. He still is one of the better players in the league on the power play and between him and Michael Ryder,the PP production lost with Kovalchuk's departure could be made up and even surpassed. A problem with the Devils with a man up in the Kovy era was that all too often,players stood around and watched as Kovalchuk maneuvered with the puck and the flow of the game stopped. That will not happen with this years team as the talent will not allow that type of play. Jagr also is tough with the puck and will not be easily shoved off it either. So,Jaromir Jagr is still capable of contributing,especially offensively. However,defensively is a different matter. Never a great defender in his prime,Jagr has become a defensive liability as he ages and he has more than lost a step as a skater,which is to be expected. Jagr certainly is not going to be killing penalties at this stage of his career and is going to have to be spotted carefully as far when his line hits the ice..
Am I thrilled with this signing? Not really,Jagr has spent too much time in enemy jerseys (Penguins,Capitals,Rangers and Flyers) for that to happen,but considering the need and timing of the need (Thanks again Kovalchuk),I cannot be too critical. The length is one year,not an extravagant cost and Jagr could prove helpful. Various things to do and at this time of year,I'm not motivated as much as usual. I've had a fun time though. Still,there is a void without the faithful Theodore and that is to be expected. I've tried to keep myself busy with doing things and if there can be a 'good' time for something to happen,this is it because at least I am busy instead of moping around the home office. I have games from today through the rest of my vacation,more in August,a trip to New York with the lovely Cherie and my annual cookout/fantasy football draft weekend,so the adjustment period might go a bit smoother than I thought. In fact,I feel kinda guilty. There is almost a freedom around the house that did not exist with taking care of Teddy. You don't realize in the midst of doing things,but there is a grueling routine involved and after he left us,it truly hit home just how structured things were. It's enjoyable to escape that,yet it carries with it the guilt of enjoying it at the cost of our beloved friend. I am looking forward to the month of August and enjoying the days without work currently as well. I don't miss being at work,although for the most part,I don't mind my job. Thanks to my favorite Aunt Becky for sending me home some Jones Potato Chips from my dad's recent trip to Ohio! Since dad would be unlikely to pick the chips up and even less likely to remember what I needed (Love you,Dad! ),I did an end around and made as simple as him putting them in his car! Thanks,Becky,I love you dearly,but let me pay for them next time! I so enjoyed Cherie and I's lunch with Krista. I haven't seen her in years and through the wonders on Facebook,we re-connected. Krista may be the only person that I know that suffered through the agony of rural isolation,hippie elementary school in the 70's and the hell that was Springfield Middle in the early 80's with me and did so with intellect-HA! Part of talking to Krista over the last year has been discussing just how brutal that time period was in school and it has been cathartic for me to get some of those things out of the brain pan. Thanks to her for listening and for offering her experiences along with a great lunch as well! I've also spent the last week thinking about future posts,even as I haven't been writing! Some planned posts down the road (no time constraints) are Cherie and I's homeschooling experience as we wrap it up,over vaccinating children,thoughts on gasoline taxes/energy solutions and the beginning of the Shawn at 45 series,where I look at places that got me here with maybe even (gasp) a picture or two. Don't worry though to my sports readers,I'll have plenty to occupy you too! I have massive amounts of cards already waiting to be listed on the signing front with another month plus to go,football on its way and hockey close on its heels. Hope that catches you up.I plan on being back later with the overdue post on Jaromir Jagr signing with the Devils. Time to clean out the inbox with an item that I never thought could happen again. 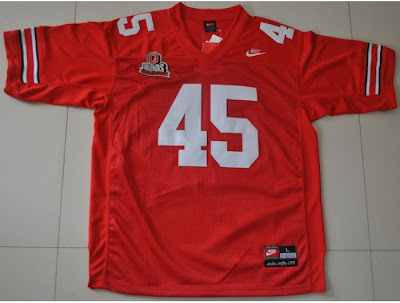 However,it has with the return of Keith Olbermann to ESPN with a daily talk show on ESPN2 at 11 PM titled "Olbermann". The mercurial Olbermann has had stormy departures from every network that he had left and the bridge to Bristol had thought to be long burned. I spent much of yesterday teaching the Chupaks the wonders of Strat O Matic baseball and then I find this article on Rex Ryan being a long time lover of the game from the New York Times. The New York Times also scores with an article on Alex Rodriguez and his return to Reading Pa,which focuses more on the issues in Reading. Ryan sends me this note and offers a possibility of a "Morbid road trip" of 300 game winners and their graves. Five of these are close enough for us to drive to and anything that Ryan wants to do,I'm likely to consider. Check it out as it is very interesting. The NCAA must be concerned by the lawsuit by Ed O'bannon and other former stars. Concerned enough to cancel their sanction of EA Sports college football game for next year. Norah O'Donnell has been a long time favorite of mine and her hometown newspaper in San Antonio writes about her role in the improvement of the CBS This Morning program in the ratings. Norah and another long time favorite Charlie Rose make the show well worth a look,although I could take or leave Gayle King. The title refers to a cheesy song from back when I was in high school,but I turned 45 today. It's a bit of a downer,but not for the reasons that one might think. Age doesn't bother me. Never has,but this birthday is a sobering one. Teddy's not around for the first time in 13 years. Teddy celebrated birthday 32 with me and the next 12 to boot. It hasn't even been a week yet and he is missed terribly. But life rolls on and Ed is taking up the slack as the only dog in the house. I wrote some things last year that I reflected on today. Most of those things are still a work in progress. But as my friend Krista told me recently "Sometimes it's good to get out of your comfort zone" and I've tried to do that. Opening yourself to good things means the converse can happen too. I have seen some self improvement over the last year and some things that still need to be dealt with. I'm still ill at ease with some things,but I think I'm getting better. I have spent more time with my parents and grandmother over the past year and that's a good thing. Are things terrific? No,but they are pretty good and that's all I can ask for. I mentioned attending events in last year's post and I have not had to do any,not that I am disappointed in any way,just that it has not come up. I've disappointed many from day one,but I wanted to set my own path and that has been successful in some ways and I have fallen painfully short in others. When I was 10,12,14,I was sure I would be working in television or radio,what I do is far from that,but it has its good parts and I generally feel pretty good about it. Now for a few thank yous. Thanks as always to the ladies that take care of me with Cherie and Rachel. It's been interesting being the only man in the house,but I've enjoyed it so much. Thanks to both of you for all you do. Thanks to my favorite son,Ryan.Ryan is not just my favorite because he's my only son,he's my best friend too. You see,Ryan grew up with me and then surpassed me. Ryan may not need me anymore,but I still need him,thanks Ryan for being there when you are needed. Thanks to my buddies,Battlin'Bob,Corey and Tennessee Ernie again. Brandon in Japan is someone I can always count on when the chips are down. Thanks to all of you for being there for me. Thanks to my graphing pals. Derreck Chupak has become a bigger part of my life than I would have thought possible. A year ago,he wasn't even mentioned,now I spend more time with him than anyone. As we joke,we have lived almost parallel lives and Derreck might be the closest person to me in thought process on the planet. Derreck,you've been a great help to me this year,I'm proud to say you are a great friend and not just because we play dueling pianos! Mike Oravec and Bill Cover continue to be good friends in graphing as well as outside the game. I've managed to get to know Brad Adams better over the last year as well as the master of the team set Kendall Morris and both have been a blast on the road and at the Muni. Now,Brad-try not to destroy the man with the hat that is three sizes too small,.huh? If you do,make sure I'm there to see it live! Last year,I wrote life was pretty good,it still is. Sometimes you just need to appreciate the things around you and let the negatives roll away. I'm not quite to that point yet,but I'm working on it. The Cleveland Cavaliers have cap space to spare and they used some of that in a risk that seems high,but is quite low when you look through the scope to see that the signing of Andrew Bynum is actually a smart gamble to attempt. The city of Cleveland has always been a tough sell to free agents in all three major sports (Of course,no NHL team in Cleveland),so when someone of Andrew Bynum's talent is interested in coming to Lake Erie,you always listen. Bynum is still young (25),can run the floor well for a big man,is solid in the post and is tough enough to bang the boards with the likes of Dwight Howard without giving an inch. Well,Bynum has terrible knee problems,did not play a minute for Philadelphia after being traded to the 76ers last year and after being an NBA All-Star in 2011-12 had a less than industrious attitude in trying to return to action. Those are red flags,but considering only six million of the 12 million owed to Bynum is guaranteed,with the rest being incentive based,Bynum actually comes at a cheaper cost than some NBA journeymen. In addition,the Cavaliers hold a 12.5 million option for the second year of the agreement,which basically boils down to this-IF Bynum returns to form or close to it (18 pts and just under 12 boards a game) ,the Cavaliers have one of the better centers in the league for a reasonable cost. 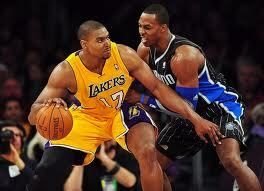 If Bynum does not,he costs just six million and the Cavaliers keep more of their already sizable room under the cap. Low risk,high reward and little loss of cap space? It is not a lock by any means,but this makes lots of sense to me and I still would not rule out going after Greg Oden to a similar style of contract (Incentive based) at a smaller cost. Hopefully,the Cavaliers will get something close to peak form and not the NBA version of the Indians signing Keith Hernandez. The New Jersey Devils and their fans were dealt a shocking blow by the decision of Ilya Kovalchuk to remain in Russia and not return to the team by announcing his "retirement" from the NHL. The retirement is not from hockey,mind you,but the NHL as Kovalchuk will remain in Russia as a member of the KHL,the top league in Europe. The Devils are no longer obliged to pay Kovalchuk further on his long contract,which Kovalchuk will lose 77 million dollars,although he will recoup much of that with his KHL contract,which will gain the team cap relief in a smaller number now and a larger number down the road. I give Kovalchuk some credit for leaving some money to stay home,but it is patently unfair of him to hamstring the franchise as he has done for the past two years. The contract cost the Devils a first round draft choice in compensation,which a likely bad team will lose a high pick for,possibly contributed to the loss of Zach Parise as the team accommodated Kovalchuk first and spent cap space that cost possible other upgrades. The shot that hurts the most is Kovalchuk waiting until after free agency to make this announcement. Had he made this decision two weeks ago,the team might have been able to keep David Clarkson or pull another talented scorer from free agency. Instead,the Devils will enter the season once again looking to fill holes in an less than effective offense. Likely,the Devils will be making a deal in an attempt to boost the offense,especially with the depth on defense to make a deal involving a blueliner. The recent one year contract deal with Marek Zidlicky makes the defense the strength of the team and the area most likely to move a player. If I had to guess,who would be most likely to go,I'd say Mark Fayne,due to his relative youth and team friendly contract and maybe one of the young prospect there as well. Another aspect to this event is that I think this will lead to a change in play for the team and going back to a more defensive oriented style in the Devils tradition. You need to play to the strengths of your team and with Martin Brodeur and Cory Schneider in goal with the talented defensemen,that is what I would do. This will need to be a balanced offense with contributions from several different players and some of the younger players will need to raise their game. In the end,the person to blame is Ilya Kovalchuk. His selfishness trumps any other reason and will hinder this season's Devils,although I think this might not be a bad thing in the long term. Kovalchuk's departure is a tough pill to swallow,but the time is to look forward for the Devils family and to do that with players that want to be Devils-not players that want to be somewhere else. About 24 hours from this writing,we lost our best friend as Theodore Roosevelt (Teddy) passed away after a short illness. The last year had its problems for the dog known by so many nicknames through the years-"T.R", 'The Tedster" "Tez-the pug suplex machine" and "the world's toughest pug" among others. Teddy was still getting around OK,but his vision was pretty bad and only his familiarity with his surroundings helped him get around as often he pinballed around the house. Even in the last year,he still had plenty of spirit as my favorite was coming home and discovering that not only had he lifted the register off its moorings,but had deposited the entire bowl into the duct without spilling a nugget. Teddy still hung tough in fighting off battles that would have finished many,but last night after the Suns game against Hickory,we discovered him battling what we thought was yet another case of vertigo. 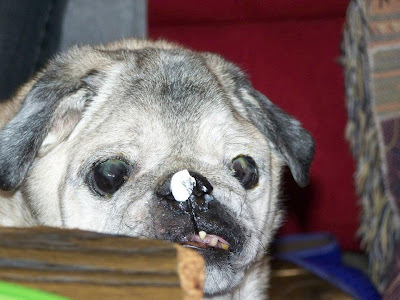 Sadly,that was not the case and brain damage was the culprit,an inflammation of the brain that afflicts many pugs had set in and as a result forcing my hand in making the toughest decision a pet owner has to make. The photo to the left is one of the few of Teddy before he turned gray. As hard as it is to believe,when Teddy sprinted up our old steps on Preakness day 2000,people were still using film for photos and digital cameras were in their infancy as well as for the well off. 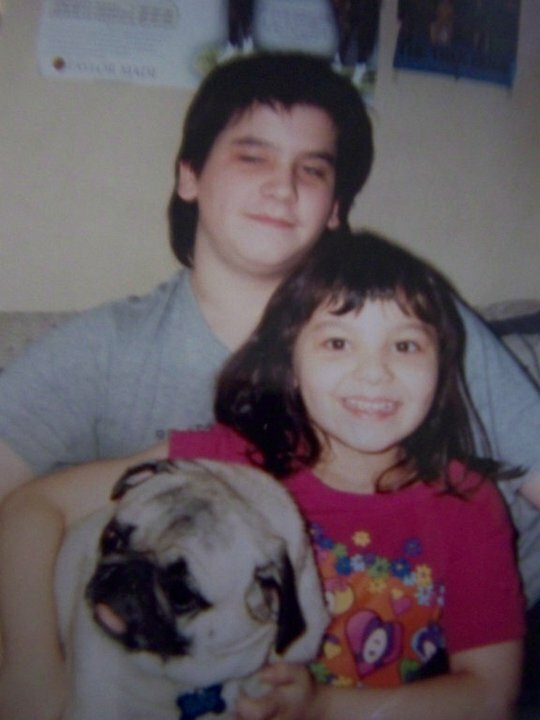 The world was a different place then-there had not been a 9/11,Ryan was a new teenager,Rachel was just three and we had yet to purchase our home. Teddy grew older,survived the loss of his pal Chancellor (Teddy passed just nine days short of the six year mark of Chancellor's passing) and tolerated his new buddy Ed. Teddy was always the alpha dog even being the boss of Ed,although usually Teddy just wandered around like Ed and our cat Shiloh didn't exist at all,secure in being the leader of the house. Everyone always loved Teddy,his personality was such a strong one for a dog,people just fell in love with the little guy. Such spirit,mischievousness and what evolved from that was known to everyone as "the Teddy voice". That's right,Teddy spoke with his personality so much,that many of us (family and friends) actually would speak as "Teddy". Unusual? Sure,but so many participated in it,after a while,it almost became second nature. Teddy might have slowed down at the end,but he truly loved one friend above the others. He truly loved Battlin' Bob. When Bob would come over,Teddy knew it as soon as he came in and made a beeline straight for the Battler'. Bob, let it be known,how much he loved you. Teddy always found a way to entertain even when he didn't mean to do so. When we first got him,he would clear off an entire table in order to look out the window when we were gone. It didn't take long to figure out that he was conning us with what he could do,even near the end,he still stunned us on occasion by jumping up onto the couch or down to the floor. Even in the rougher times,Teddy still had a way of surprising us. Teddy also made the transition to elderly with the help of Rachel. The three year old that stood on a hope chest scared to death when he scrambled into our lives became the sixteen year old almost full time nursemaid over the last year or so. Rachel took care of him when he didn't want to sleep like he used to,getting up in the middle of the night and did so much to make the last year as good as possible for him. As Rachel wrote on her Devils Facebook page,Teddy would sleep in her lap as we watched the Devils games,snoring away,yet being a constant presence with the two of us. It wasn't all wonderful,Teddy spent most of his life rarely barking and in the late years he barked more. That was painful as his bark was an unpleasant shrill ear piercer as we called it here. 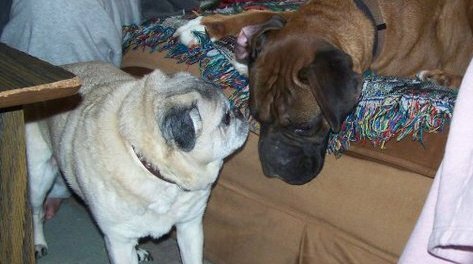 Teddy came to us by a fluke.I had always wanted a pug,they seemed to be so family friendly and full of spirit-Teddy proved to be just that. He had been passed around and only a note from a person that worked with Cherie got us the opportunity. I don't know if we were his last hope,but we were going to be his last stop. You read about "Forever Dogs"-Teddy was going to be our forever dog,to the point of giving up things if it had to be for him to keep his home with us. The last day or two were pretty good as I reflect. Teddy got to eat what might have been his favorite food-pizza crusts,he played with Rachel and for a while on what proved to be his last day,he wanted up on the couch with me,like the good times,one final time. Looking back without being too spiritual,maybe in an unconscious way,he knew and wanted a few last memories. The world is a different place for me since that little guy scrambled into my car 13 years ago. My son is grown and gone,my daughter is old enough to drive,I'm older and not what I once was in some ways. One thing is for sure-no one that ever met Teddy didn't like him and my and my family's life will never be the same. 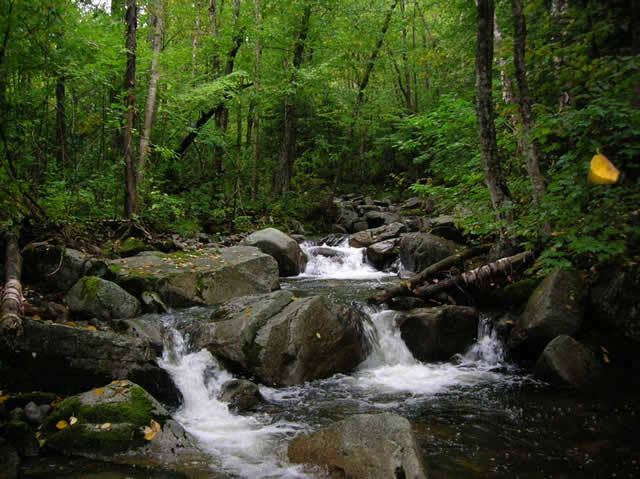 It cannot be.When you are touched this deeply,your life is changed. The title of this post is because of the theme of the TV show"Courtship of Eddie's father". Often times,someone would sing this song in "Teddy voice" and sing the opening line with the addendum of my name. Thanks to everyone for their kind words,thoughts and even prayers for my family and me. 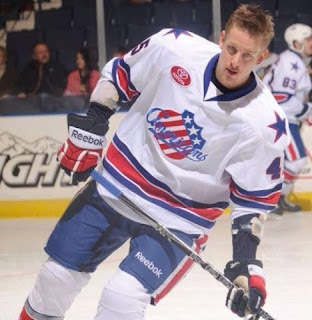 On a slow Sunday,when you don't expect to have a ton of news,the New Jersey Devils made some as the team traded veteran defenseman Henrik Tallinder back to the team that they signed him from. Lou Lamoriello traded Tallinder to Buffalo for Riley Boychuk in a trade that could be looked at as a salary cap maneuver and another step as well. The move also creates a spot on the final roster for one of the young defensemen that form the top prospects in the Devils system. Alexander Urbom,Eric Gelinas and Jon Merril will battle for the vacated roster spot and the trade also breaks a logjam among the top six defensemen that should result in Adam Larsson to finally get the every game playing time that he deserves. The main reason though was to get Tallinder's three and a half million off the salary cap at a time when the extra dollars can go towards the new contracts for restricted free agents Adam Henrique and Jacob Josefson. Henrik Tallinder was in the position of being scratched here and there and the trade to Buffalo will give a nice guy regular minutes in a city that he is comfortable in,which I am sure factored into the Devils dealing him there. Face it,the Devils could have sent Tallinder anywhere and received a player back similar to Riley Boychuk. Central Hockey League and scored only eight goals in half a season there. 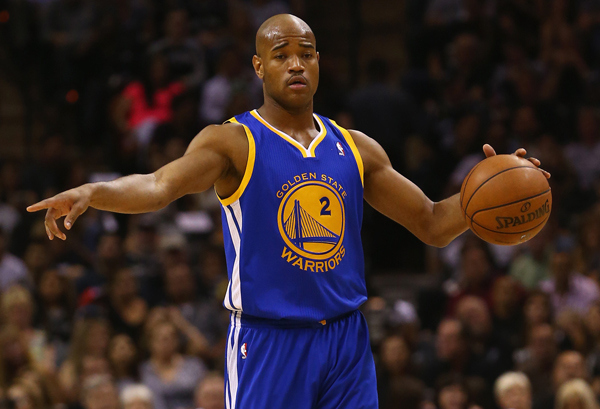 The Cleveland Cavaliers attempted to add the backcourt scoring that they desperately needed with the signing of veteran Jarrett Jack from the Golden State Warriors. The 29 year old guard signed a four year contract worth 25 million dollars over the course of the deal,with the fourth year being an option controlled by the Cavaliers. Jack averaged just under 13 points a game to go with 5.6 assists per contest in his only season with the Warriors. Cleveland will be the sixth stop in the career for Jack since entering the league out of Georgia Tech and should he fulfill the contract,Cleveland would be the longest tenure of his career. Jack's past season with Golden State was in a similar capacity being used with Stephen Curry and Klay Thompson,so Jack should be comfortable in the role. Jack can be used at the point or at the two guard,so his flexibility will allow him to be on the court more often than just a guard at either position. Cleveland lost two players to free agency yesterday as the player that Jack will replace,Shaun Livingston signed with the Nets,while Omri Casspi ended a disappointing two year run as a Cavalier with a contract with the Rockets. Neither is a huge loss,although Livingston played well in Cleveland,Jack is a better fit for the type of team that Mike Brown likes to run. The Cavaliers still need to add a scorer (preferably at small forward) and a big man as 7'0 Tyler Zeller is currently the tallest player on the roster. Jarrett Jack was a nice acquisition as a strong third guard as well as being capable of playing at the point full time,which is a needed slot with the oft-injured Kyrie Irving manning that position. The New Jersey Devils added two players in an attempt to jump start an offense that lost juice last season and signed another to a low risk contract in another try to strike gold. 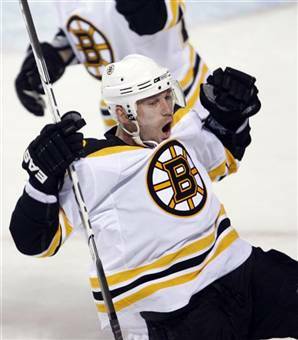 The biggest contract was a surprising one as Ryane Clowe signed a five year contract at 4.85 million per year. Clowe split last season with the Sharks and Rangers and scored just three goals and sixteen assists. At his peak,the 30 year old Clowe adds a toughness and scoring touch that makes one think of the departed David Clarkson at a cheaper price,since Clarkson left the team for Toronto on a seven year deal worth just a nick less than six million per year. Clowe should slot in at either of the first two lines and be able to perform well. The problem is that despite a medical clearance,Clowe suffered three concussions last campaign with one of them coming in the playoffs that ended his postseason and yet Lou Lamoriello signed a player with physical question marks to a five year contract. To be fair,had Clowe been completely without these issues,he might have made another million per year and perhaps the same length of contract,if not longer. I have plenty of concerns when looking at the total package,but if all is well,Ryane Clowe is very likely to bring to the team what David Clarkson did and maybe a bit more. The length seems a bit risky to me,but time will tell. I am much more enthusiastic on the two year deal for Michael Ryder worth a total of seven million dollars. The well traveled Ryder should be good for 18-25 goals and be a major help on the power play. Ryder has never been noted as a defensive standout,but with proper decision making (putting him on a line with responsible teammates will help),this should be an issue that can be overcome. Ryder has always been a player that played well against the Devils by finding his way into positions to shoot for good scoring opportunities. The Devils also gave a one year contract to former Panther (under Pete DeBoer) Rostislav Olesz to a million dollar contract after incentives. Olesz was bought out of an over four million dollar contract with Chicago after last season that was mostly spent in the AHL. Olesz scored 14 goals in a season twice under DeBoer in Florida and is the type of low cost gamble that has brought the Devils players in the past. Consider this signing very similar to Steve Bernier and Ryan Carter,not a ton of money,but perhaps a solid reward. All told,this is an OK haul with the potential to be great. If Ryane Clowe is truly past his concussion problems and is able to play the game as he has in the past,Michael Ryder can be the power play bulwark that he can be and if the team can get anything out of Rostislav Olesz,this could be the infusion of talent that the Devils need. However,if Clowe does not rebound from injury in either health or performance,his five year contract could hamper the franchise for quite a while. This truly comes down to Ryane Clowe and Lou Lamoriello's opinion that Clowe is ready to be the player that he was in San Jose. Free agents in the NHL may not be able to sign contracts with new teams until today,but they can make deals with their current ones. Lou Lamoriello and the New Jersey Devils kept two,bought out another's contract and looks to be preparing to move on without a fourth..
Patrik Elias signed a three year deal worth over 16 million and The Devils kept the one player that the team needed to keep in the fold. Elias,the all time leading scorer for the franchise,led the team in scoring in the abbreviated season with 36 points and despite his advanced age (37) was a must sign for a team that needs to add offense,not lose it. Elias shows little signs of slowing,but with a three year deal could be on last legs for the last season of the deal. Lou Lamoriello has shown a tendency in recent years to add perhaps a year too long on contracts,but in this case,I support it. I wish I could say the same for the three year deal for the perpetually disappointing Dainius Zubrus. Zubrus took a pay cut to stay with the Red and Black (9.3 million),but his numbers still were not deserving of a new deal. Two goals in 22 games doesn't do it for me. The Devils did the inevitable as Johan Hedberg was bought out of his contract as the backup. Hedberg would have been paid 1.4 million for the upcoming season,but with the addition of Cory Schneider,Hedberg was doomed for a return. Hedberg struggled at times last year and there really is no further need for his services. Hedberg's play in the absence of Martin Brodeur could be circled as the main reason for the Devils collapse and resulting miss of the playoffs. The bad news is that it appears that David Clarkson is unlikely to return. Clarkson had always been a favorite of mine,but I have a feeling that some team is going to pay him far more money for the last year and a half of production than they might feel is fair return. The Cleveland Cavaliers made their first move in free agency and it does not seem to address the teams need of a scoring forward,although the move could add some depth and help to the second unit. A 6'10 SMALL forward that specializes in jump shooting? 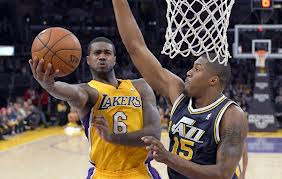 That's Earl Clark,who was signed from the Lakers to a two year contract at 4.5 million per year. Clark is a defensive specialist that can guard small forwards,which for a 6'10 player can be quite an advantage and will build up a large amount of blocked shots against smaller players. Clark will challenge Alonzo Gee for the starting job at the three spot and brings an interesting skill set to the table off of his 2012-13 season. Clark shot over 100 three pointers last season after attempting just 15 totals from the arc in his first three seasons and drilled over a third of them. Combine that ability with his quickness and defensive skills and at worst,you have a solid role player and at just 25-perhaps a candidate for a breakout season. We continue our interview with former Weather Channel meteorologist Nicole Mitchell. I've drawn this out longer than I had hoped,so hopefully the final two parts will be posted quicker than the current ones. TRS: One thing as an old watcher was the difference in the ladies dress,During one lawsuit against TWC,it seemed that every lady in the studio was dressing in more conservative clothing,Was this a response to the suit and mandated by the management or was this just the style of the times? TRS: At TWC,was there a wardrobe department or were you responsible for buying your own things? NM: Sometimes there were shoppers to help us and sometimes we bought our own things. TRS: I could not do this without asking about the release from TWC,I don't expect you to answer considering the impending case,but to catch people up,you are suing TWC for releasing you for your military service and not for job performance,Do you think this was also the reason for being moved from mornings to late nights? NM:Yes, I believe it was a factor. My press conference is on line, I think it lays out pretty well some of what happened. 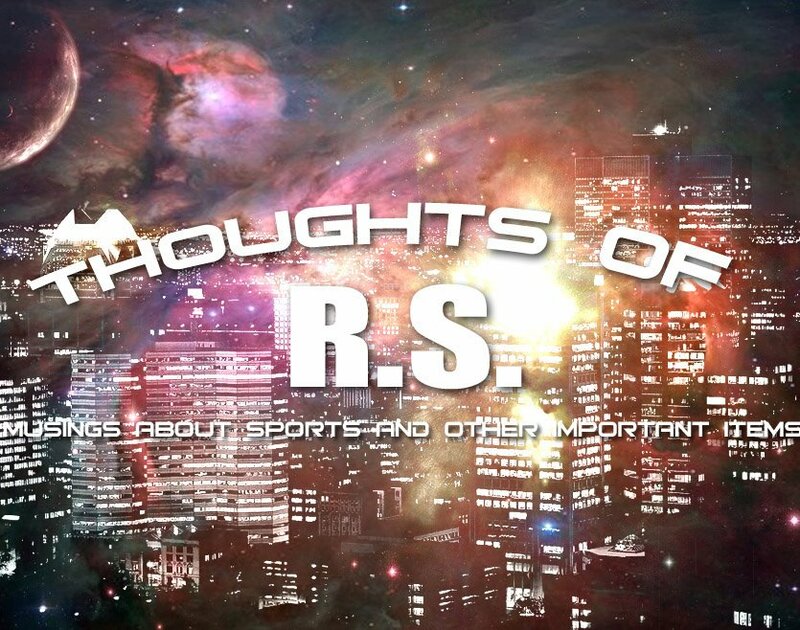 TRS: What was the reason given for the breakup of you and Paul (Goodloe)? Had they already told you that they were not going to renew your contract? NM: Yes, they had already told me I would be terminated. Moving me off my show with Paul came shortly after I refused to sign away my legal rights. NM: Right now I am in the process of a lawsuit against TWC and NBC. 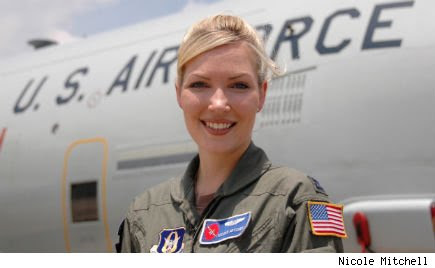 The short version is that I faced repeated harassment surrounding my military service and eventually I was terminated. I believe the inconvenience of my military schedule motivated the decision, and if so, that is unlawful under federal protections for military service. My lawyer lays out my case, then I start at about 19minutes in and talk about what some Reservists go through with civilian employers. TRS: After you left TWC,Samantha Mohr made a post on her TWC approved Facebook page that you had left to do "films in Hollywood" and you responded on that page with something along the lines of "I barely know Samantha Mohr,haven't been in contact with her and have idea why she would say that". Do you remember this and do you think that it could have a TWC issue to downplay your leaving? NM: I recall someone making a comment like that, I thought it was Heather (Tesch). Regardless, yes, my termination was obviously downplayed. There were untrue rumors allowed to circulate on everything from me being called to active duty to me quitting TWC to practice law. TRS:How did TWC tell you that you were not having your contract renewed? NM:I was called in for what I was told was my mid-year review, but instead I was told I would be terminated. It was just days after returning from 2 weeks of military duty. One of our media favorites went on maternity leave today and when she returns,she will have a new job. Megyn Kelly will continue her rise up the Fox News ladder as she will be given a primetime show after her baby is born. As much as I think Kelly will make a great addition to a stale lineup at Fox,I will admit-on my schedule,I'll see her far less than at her 1 PM program. Grantland has an article on former D.C Hoops legend Jo Jo Hunter and his return to the area after a prison stint. Artist Ron Miller has created using graphics etc a series of pictures showing how large the planets in the solar system would look if each planet was located where our moon is. 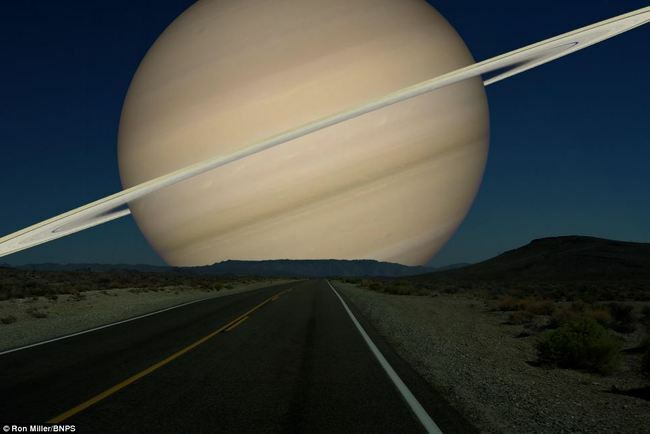 It's a fascinating series and puts into perspective just how large the planets truly are! Just imagine driving down the highway facing that at night! Finally,my family lost a friend over the weekend as Kim Moser McBee lost her life in a motorcycle accident. Kim was just 48 years old and would have celebrated a birthday later this month. Kim was a terrific person and we had recently talked on Facebook about getting together in the next week or so. Life can be really strange sometimes. Our best to Kim's family and especially her son,Ryan,who was a former player of mine. The New Jersey Devils were expected to make a move towards a franchise cornerstone when they missed the playoffs and selected ninth in the first round of the NHL draft. Lou Lamiorello and company did that,but they did so in an surprising manner as the team traded the pick to the Vancouver Canucks and finally answered the question that has been asked for years-What will the Devils do when Martin Brodeur is retired? 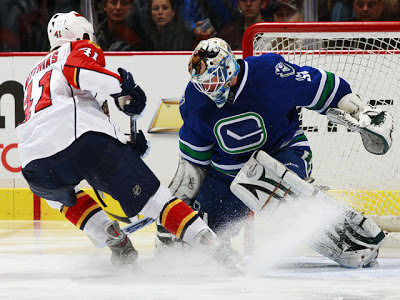 The answer is hand the reins over to Cory Schneider,who the Canucks have wanted to be the starter for the past two seasons,but have been unable to find a trade for the huge contract of Roberto Luongo. The Canucks apparently did not want to go through another season with a controversy between the pipes and felt the need to make a move. Since Luongo has shown to be impossible to trade,Vancouver was reluctantly forced to move Schneider. Cory Schneider fits everything that a Devils fan could want in the successor role for Martin Brodeur-proven (to a degree) with 17 wins in 30 starts last season for a playoff team,reasonably young (27) and willing to share the role this season with Brodeur with a good attitude as Schneider was lauded in Vancouver for a great attitude during their issues with Luongo. This likely means the end of Johan Hedberg,who would be bought out of the final year of his contract unless he is willing to tutor the young goalies in Albany this year. That would be an interesting thought to have Hedberg in Albany as a player/coach for Keith Kinkaid and/or Scott Wedgewood,but Hedberg may not want to fill that role and the team might not want to pay the salary for Hedberg to do that either. All and all,a surprising deal,but one that makes sense to set the Devils up for the days of Post-Brodeur. Two more notes on the great one as we want to congratulate him on being voted to the cover of NHL14 (Rachel has already staked her claim to that) and for his son,Anthony,being drafted last night by the Devils. Give the Devils family credit for trading for a seventh round pick (kudos to the Kings for the help) to keep Brodeur in the family and allow Marty to announce the selection as well.